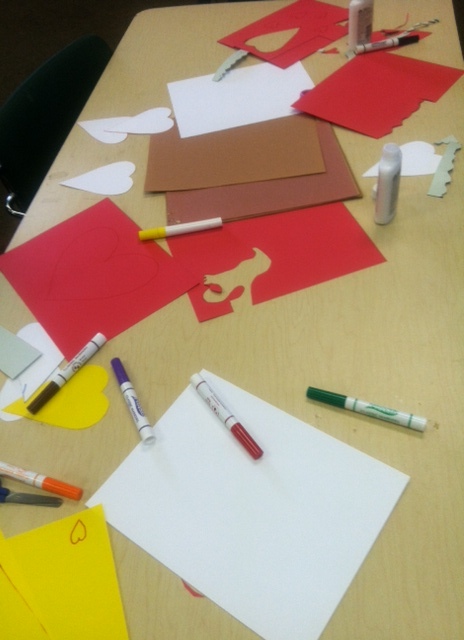 For Valentine’s Day this year, we held a Tween program at the library. The age group that we invite to our Tween events is 4th – 7th grade. 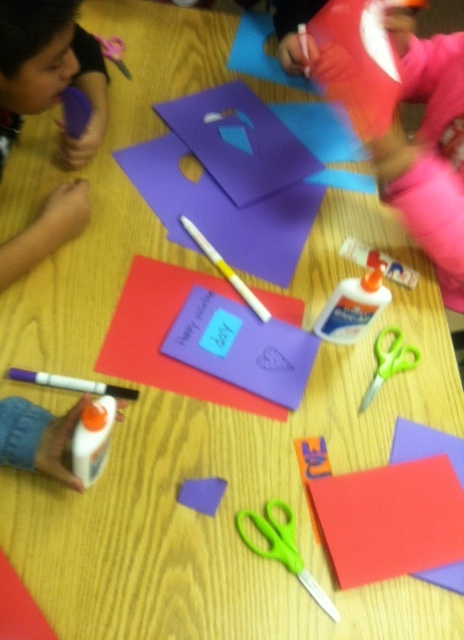 Instead of making conventional Valentine’s, we gave it a library twist and put out supplies to make Bookmarks! Lot’s of lucky friends and relatives will have a fun, handmade Bookmark Valentine to use this year. 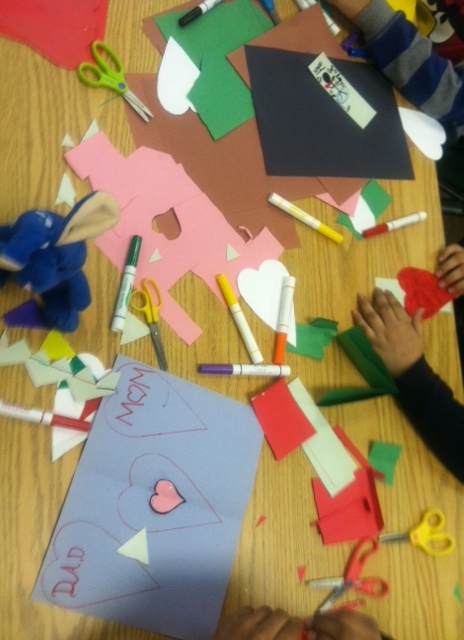 Of course, when creativity was let loose with tons of craft supplies and the spirit of the holiday, some really beautiful “conventional” valentines were also made.